Chess as a game is a mystery to most often seen as an elitist game for intellectuals and with good reason; research has found that chess lessons improved pupils’ concentration, boosted thinking skills and raised levels of sportsmanship. Start-Rite Schools takes pride in being forward thinking and globally minded. So it comes as no surprise that the schools Chess Club had the pleasure of hosting Mr Oladapo Adu. 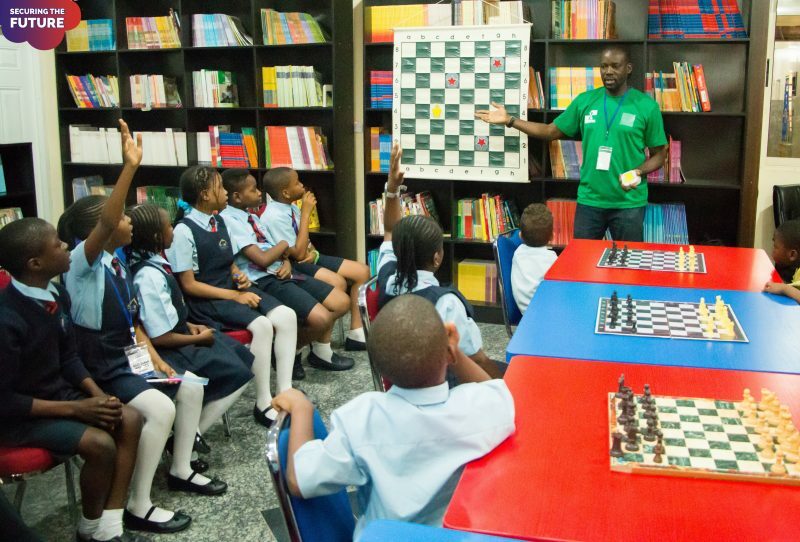 Mr Adu is a Nigerian chess player and FIDE International Master. Mr Adu qualified to play in the 31st Chess Olympiad in Moscow, he also qualified for the 32nd Chess Olympiad and became the Nigerian national champion in 1995. Members of the schools’ primary ‘Board Lords’ club and secondary school Chess Club were delighted to meet with Mr. Adu where he encouraged the children, suggested tactics and challenged them all to a game of chess which was eagerly accepted. The students were very impressed with his technique and skill. Chess has enjoyed a rich legacy that dates back to the fifth century. In the 20th century, much of the world was captivated by Bobby Fischer and Garry Kasparov, perhaps the two best chess players of all time. Who can forget the 1972 world TV broadcast of hours-long World Chess Championship matches between Fischer and Boris Spassky. Chess has come a long way since the early days of Fischer, Spassky, and Kasparov and is now part of a global initiative for Chess to become a part of the global curricula. It has been recommended that all primary school children should be given an hour of chess each week. Countries like India, Turkey, and Norway implemented chess in schools before Armenia did, but the former Soviet Republic made headlines in 2011 for being the first country to make chess compulsory in schools. Spain too has now made Chess a compulsory subject in schools. The UK has followed and introduced the Chess in Schools Initiative. Whilst the U.S. Chess Trust has Chess in Schools Programs as a way to help students with reading and maths. Chess is now a game for everyone!